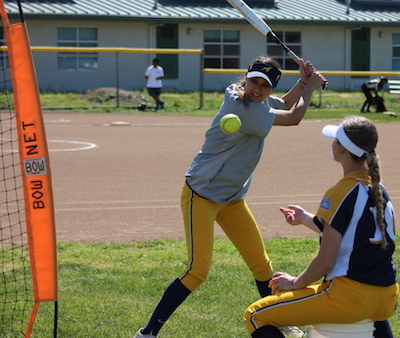 Settle into your seat to watch the four-star softball program at Alhambra High School in Martinez and prepare to be dazzled. By the time seven innings elapse, one course of “Did-you-see-that?” after another will be brought to you, each as uniquely sweet as 31 flavors of ice cream. Serving it up is No. 3. The shortstop. Briana Perez is to her high school sport what Jason Kidd once was to his, a player who executes so quickly and so fluidly that one doesn’t need statistics or spreadsheets to tell them anything else. She’s one of the best players in the United States, a first-team USA Today preseason All-American. She’s a three-time North Coast Section champion, and her team will be crushed if it doesn’t win a fourth. Lest we forget, she’s bound for softball power UCLA on a full ride. It’s a lot for an 18-year-old, but it doesn’t seem to be a lot for this one. Her words aren’t nearly as effective as her actions; the sweetness of her play must be experienced, not just explained. So prepare to be dazzled. The first dish: The Sweet Spot. 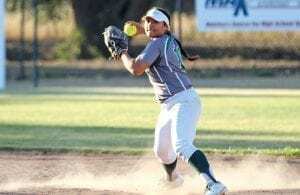 In a 7-3 victory over Clayton Valley Charter-Concord on April 25, Perez cuts loose with a picturesque swing and sends the softball flying over the fence for an early 2-0 lead. An inning later, she rockets a triple. She finishes with three hits. Two days later, in an 8-5 win at Concord, she sizzles a single that plates another first-inning run. Later, she rips a double. Through April 27, Perez was hitting .667 with 11 of 24 hits going for extra bases, and her coach, Paul Buccellato, said she “hasn’t even gotten going yet.” She had 19 RBI and scored 24 runs. She’d been on base in 75 percent of 49 plate appearances. Those who see her every day appreciate how often she makes contact on the sweet spot and how hard and far the ball often flies when it does. Those things are by-products of talent, so precocious that her older sister admires it. Kylee Perez is a junior second baseman at 12th-ranked UCLA and a first-team All-Pac-12 selection who hit .388 a season ago. A day after Briana — “Bree” to everyone who knows her — collected two hits against Concord, Kylee collected five in six at-bats and scored four runs for the Bruins. 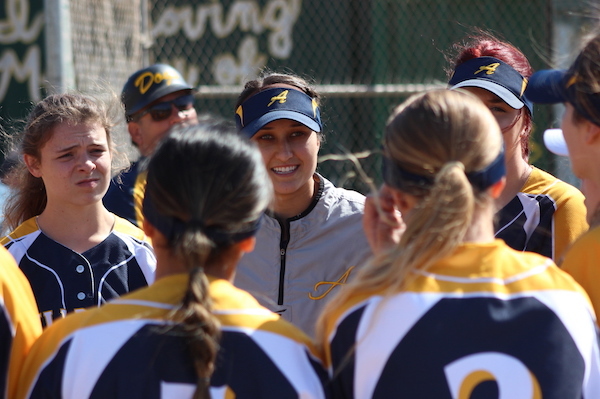 Against Clayton Valley, Briana dished out four dazzling examples. With her team ahead 5-3 in the sixth inning on a run that she stole (more on that in a bit; one helping at a time), Perez the shortstop moved two steps toward third. 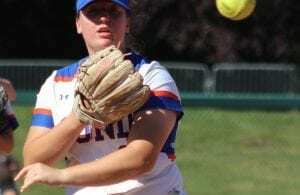 On the ping of the bat she snared a two-hop shot, transferring ball from glove to hand in one fluid, fast motion and fired a strike to second baseman Karlee Sparacino to start an inning-ending double play. An inning later, three outs from an Alhambra win and shading second base with a lefty up, Perez sprinted to track down a pop-up behind third base with a backhand catch near her knee, a ridiculously difficult catch that seemed to cause her as much difficulty as picking fruit from a tree. Yet, even before that came there was an even more subtle exhibition of her skill. In the third, with a Clayton Valley runner on second base, Perez shuffled two steps toward third to pick a low liner. But before making the catch, her feet ever so gradually shifted direction back to second. Perez snared the liner, and with the same quick transfer, doubled up the runner by a step. “Just look at the run she created,” Buccellato says. With Alhambra ahead only 4-3, Perez singled to start the fifth. Two pitches later, she took off for second and bounced up quickly when the throw from catcher sailed into the outfield. 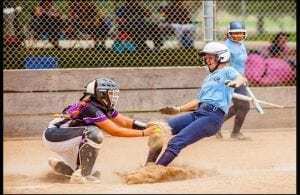 She roared to third, took a tight turn around the bag, and when the Eagles let up for a heartbeat in returning the ball to the pitcher, she accelerated toward home plate. She slid home safely, just ahead of a throw on a close play. 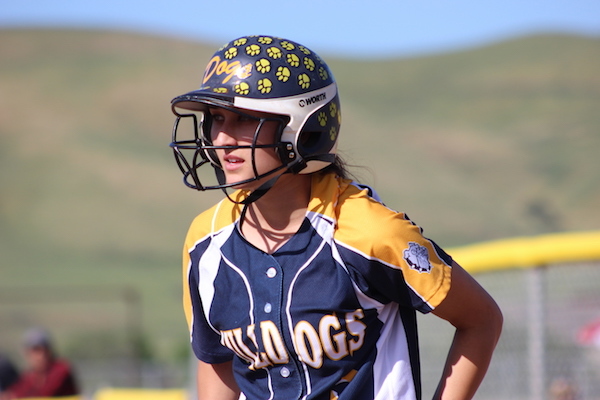 Kylee Perez isn’t the only former Bulldog starring in Div. I, either. Hailey Sparacino and Cara DiMercurio, teammates two seasons ago at Alhambra, now are teammates at Saint Mary’s. 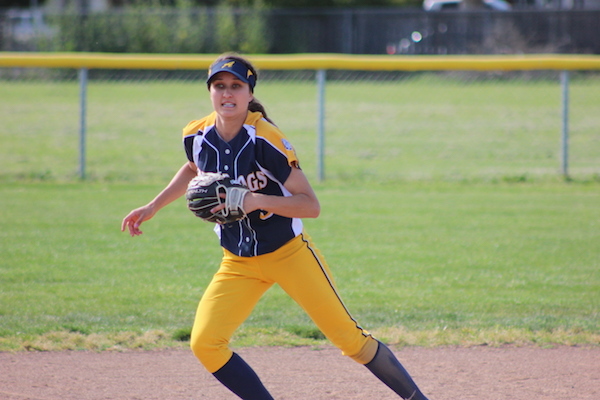 Karlee Sparacino, Hailey’s younger sister and Briana Perez’s double-play partner for the past three seasons, will be headed to Cal next season. Yet, there’s something about Briana, and it’s been on display since she was knee-high. If it sounds like a sweet life, well, it has been. But Briana has done her part to nurture her gifts. She works out daily, taking advantage of an early end to her school day to run hills and do other cardio work before hitting balls into a net for an hour before returning to the school for practice. Dazzling all who watch along the way.